Let's Look at New Zone of the Enders Figures! Filed to: Z.o.e.Filed to: Z.o.e. A new Revoltech figure of Z.O.E. 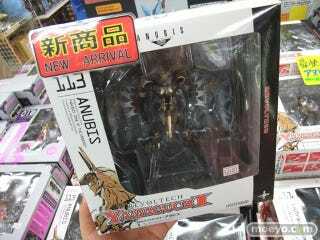 character Anubis went on sale in Japan. Website Moeyo got up and close with the figure, manhandling the box and taking some snaps of the figure. Zone of the Enders is a mecha game from Metal Gear Solid creator Hideo Kojima. A sequel is long overdue and not coming anytime soon.